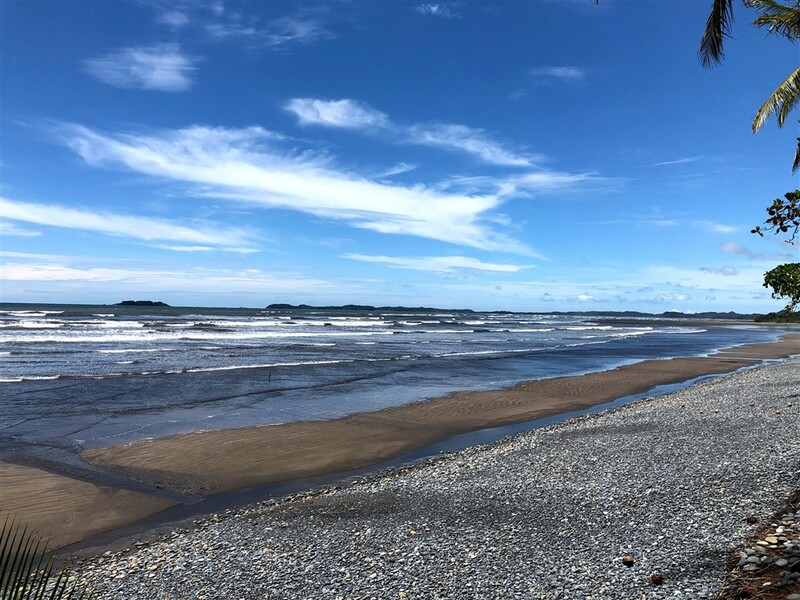 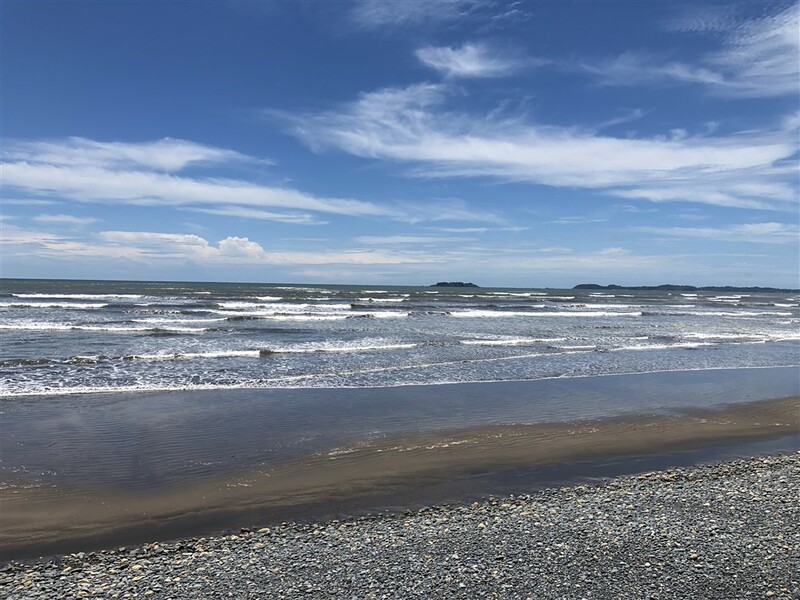 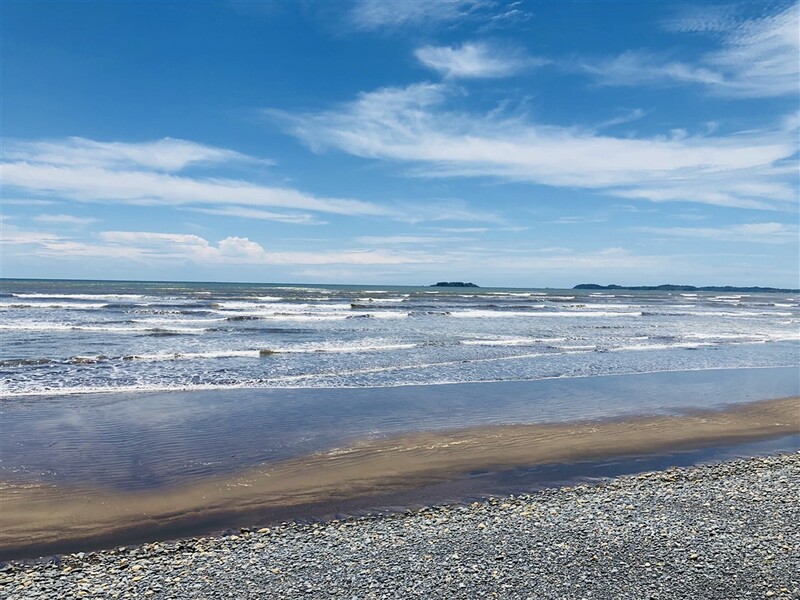 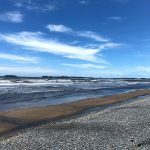 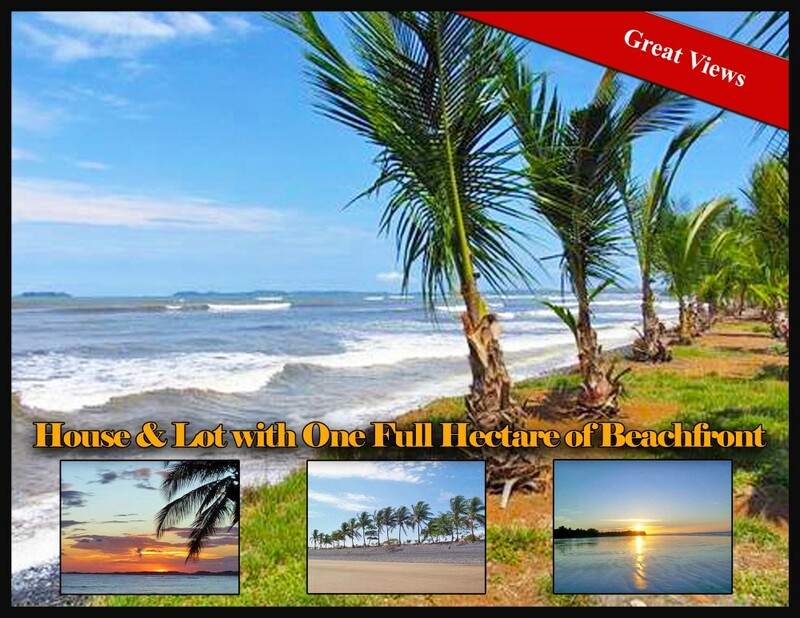 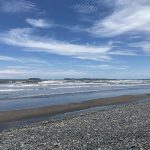 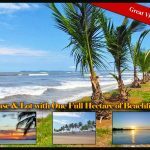 Titled and affordably priced, enjoy your new beachfront home plus guest house with so many possibilities. 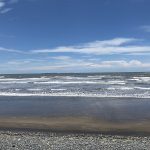 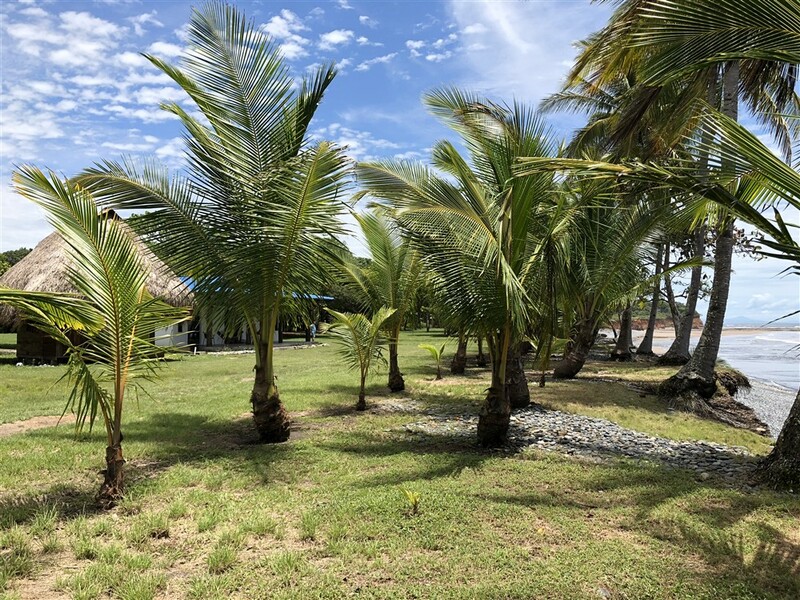 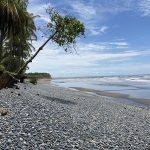 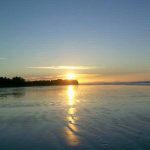 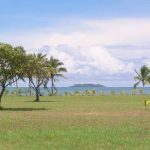 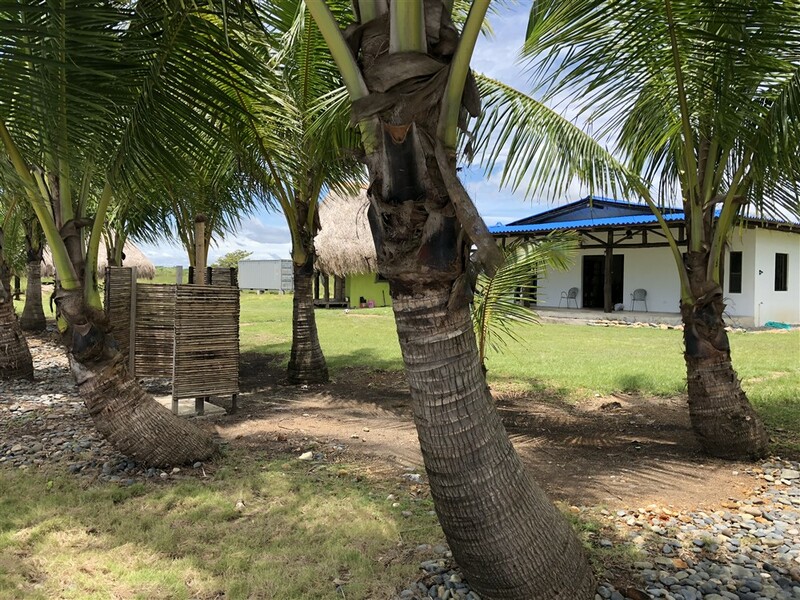 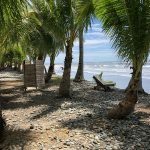 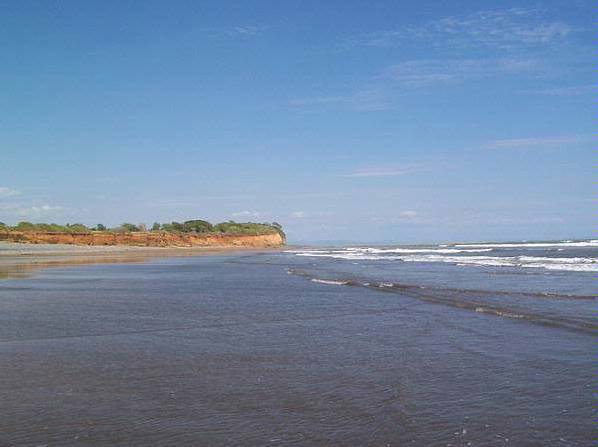 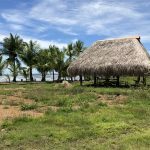 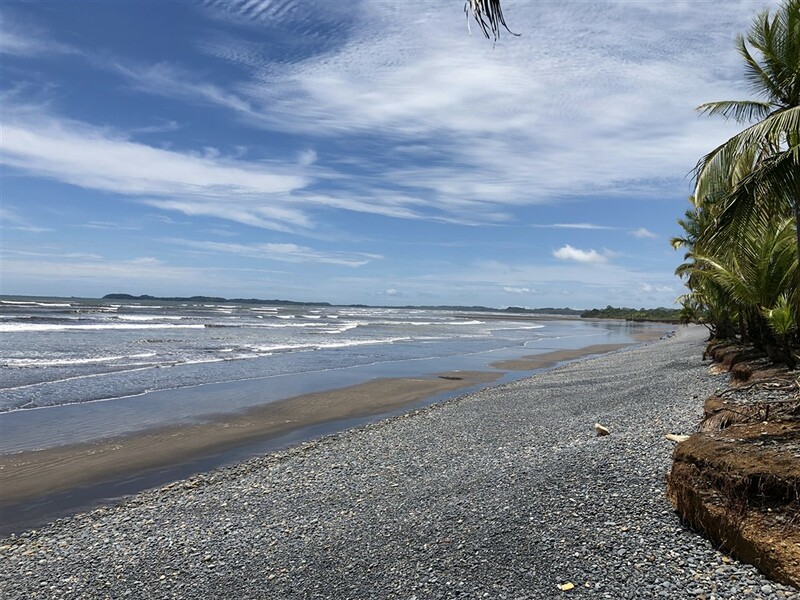 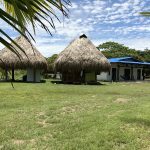 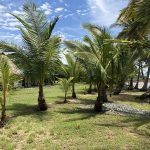 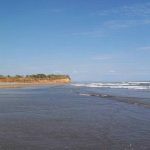 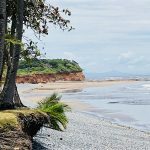 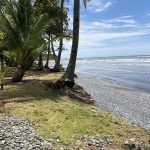 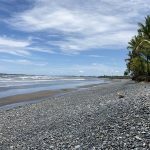 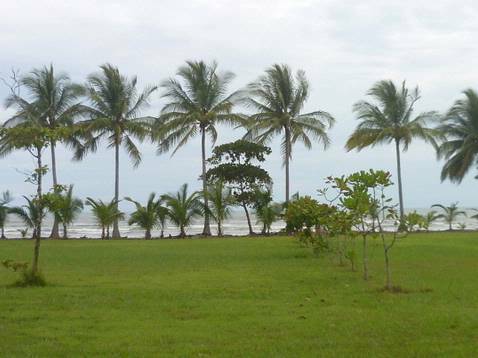 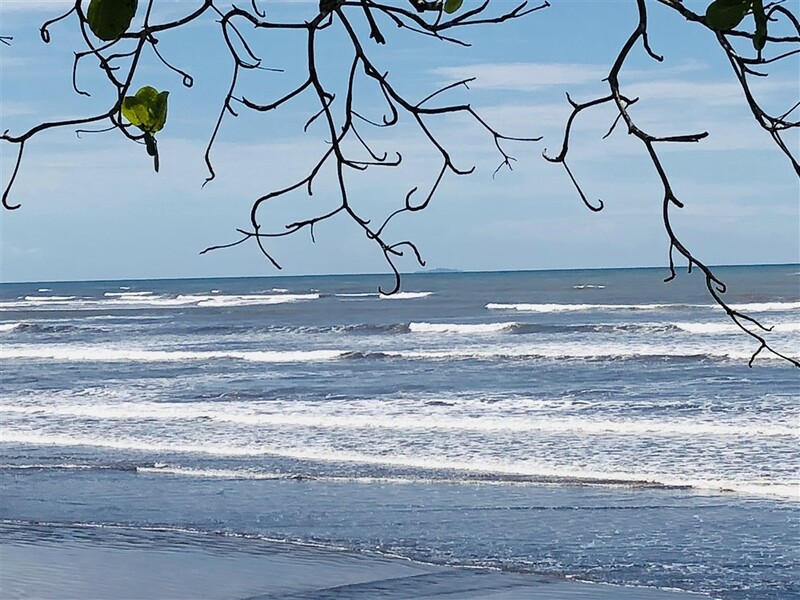 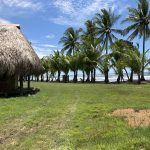 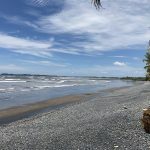 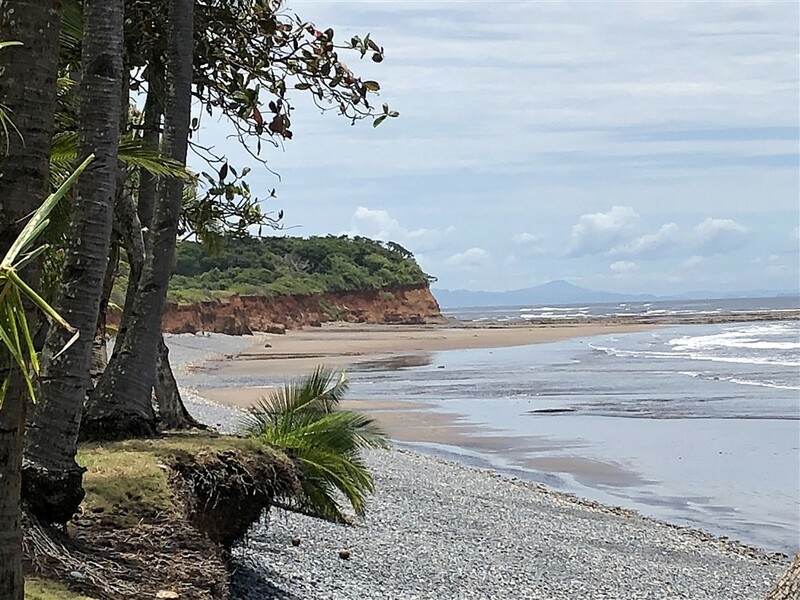 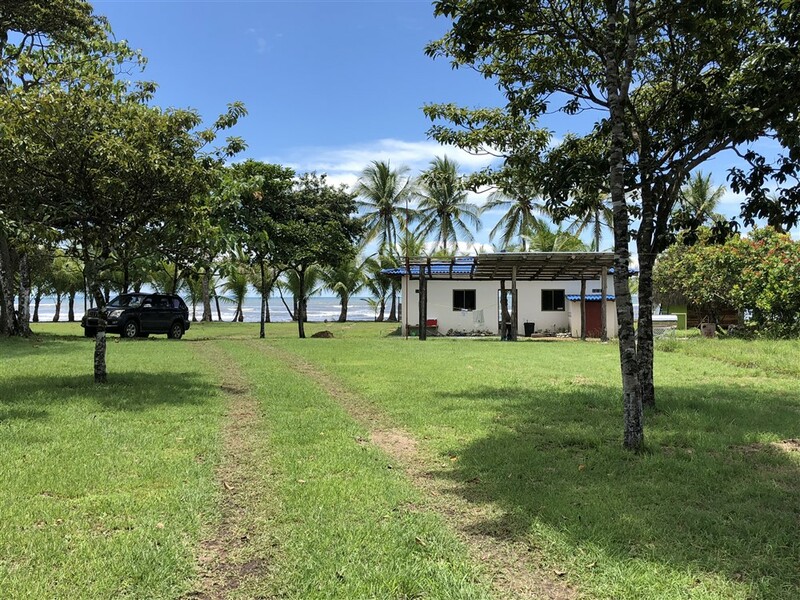 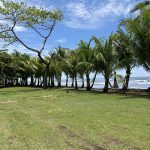 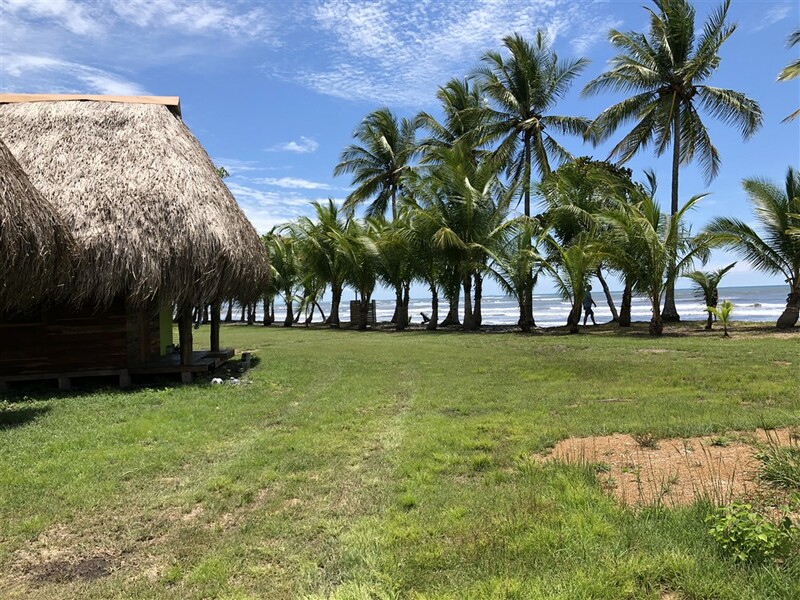 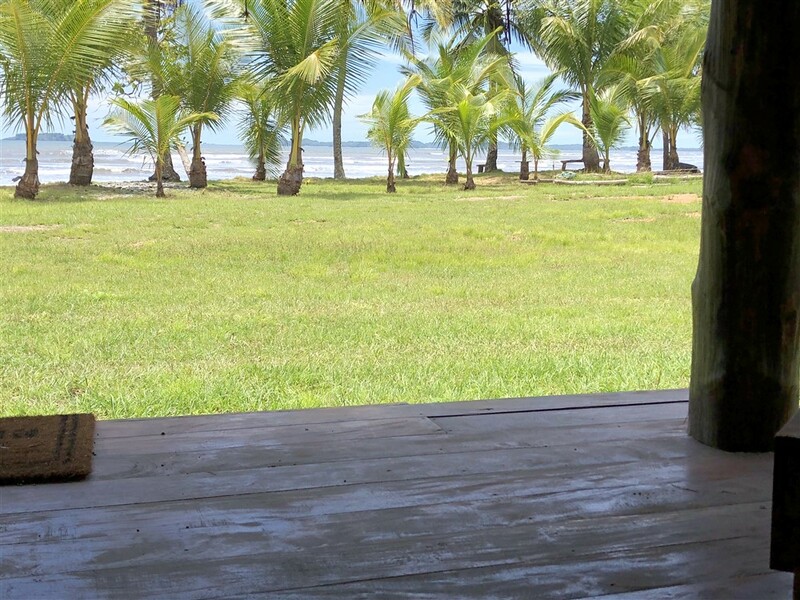 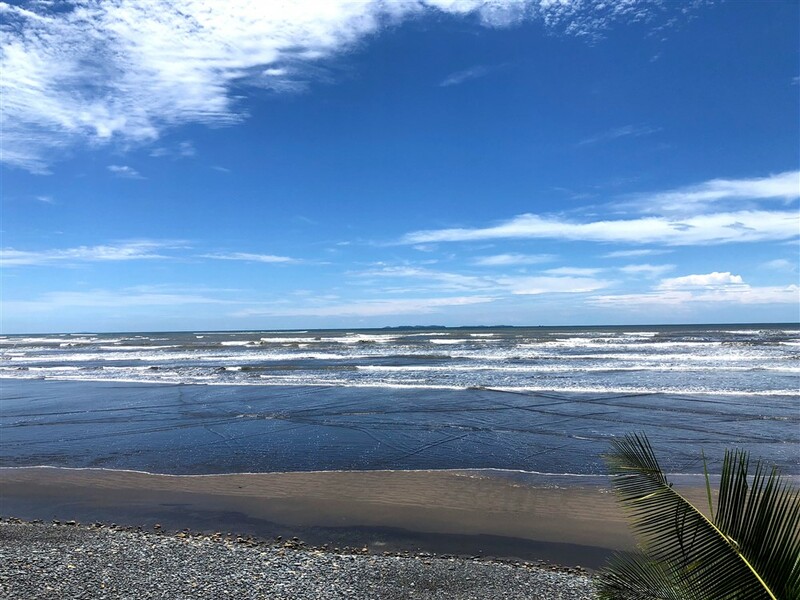 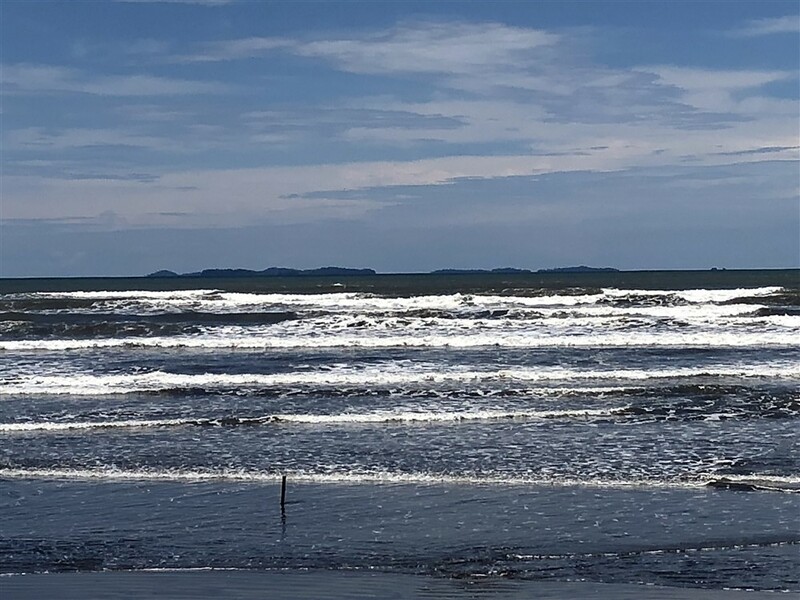 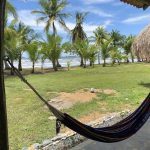 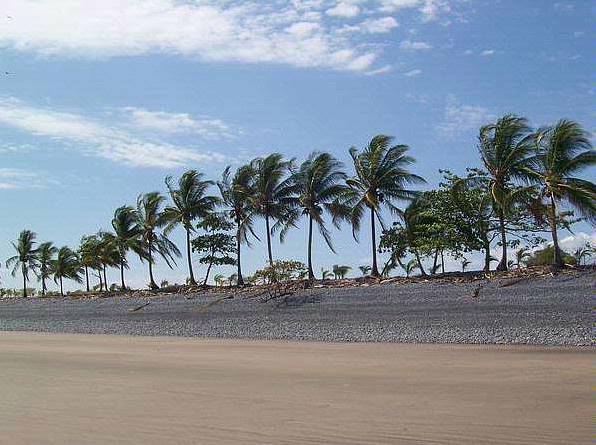 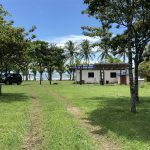 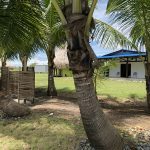 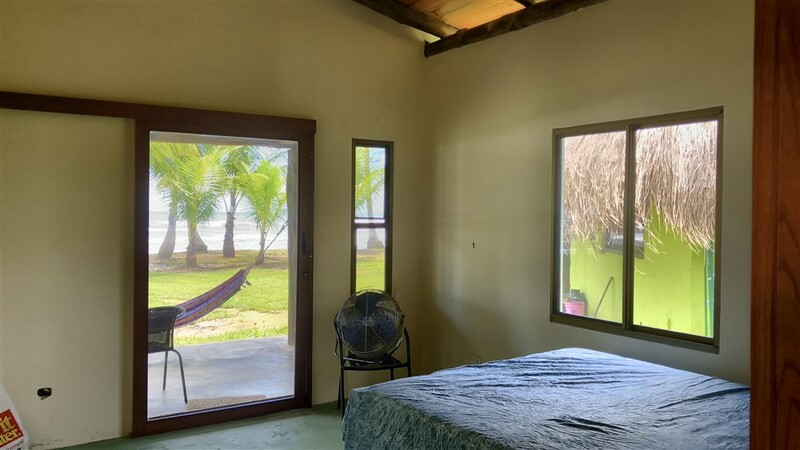 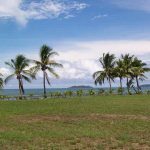 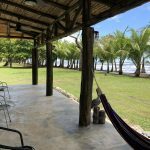 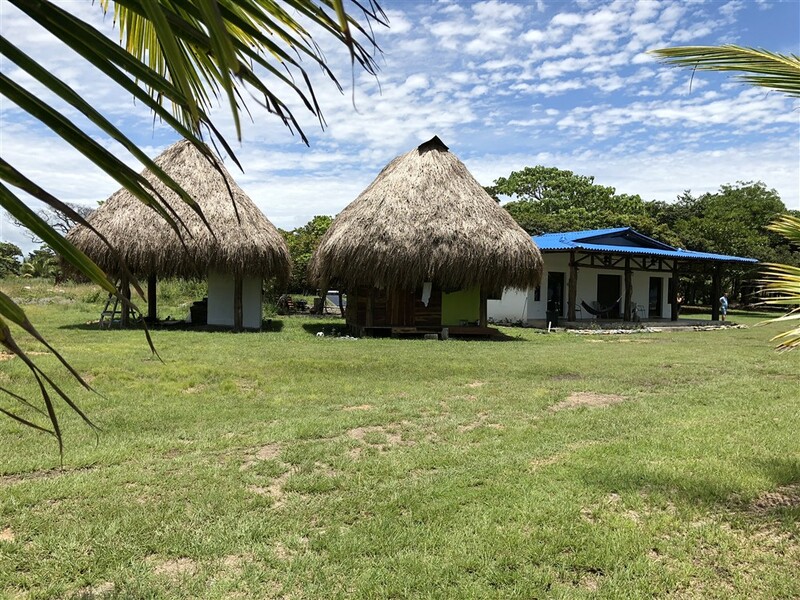 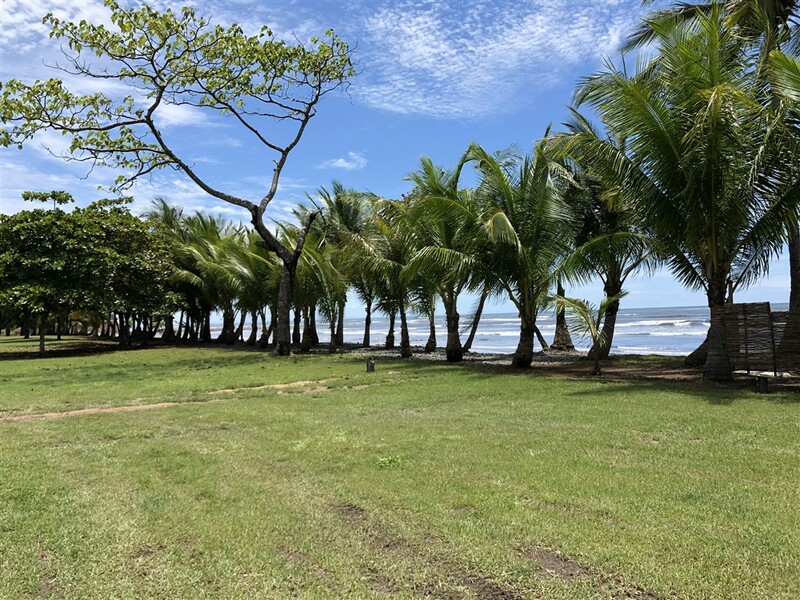 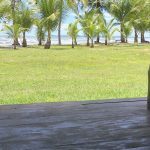 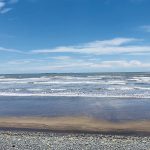 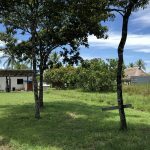 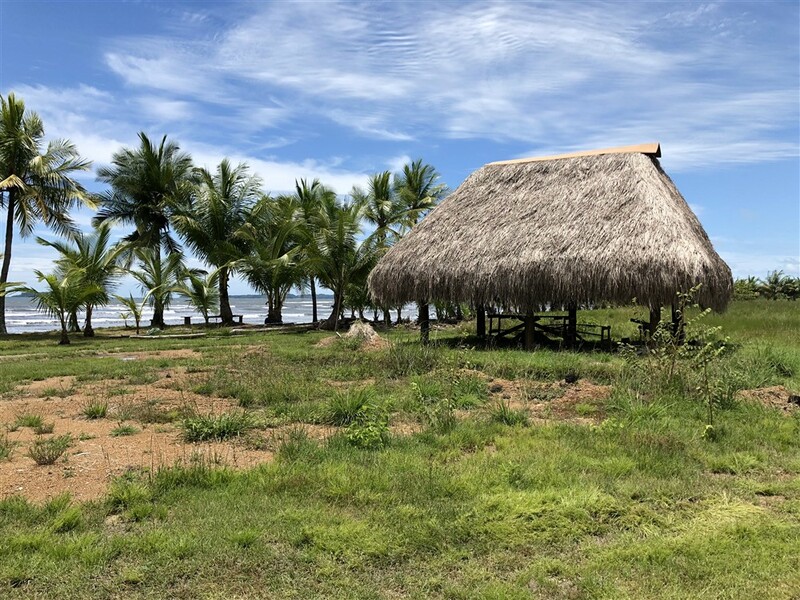 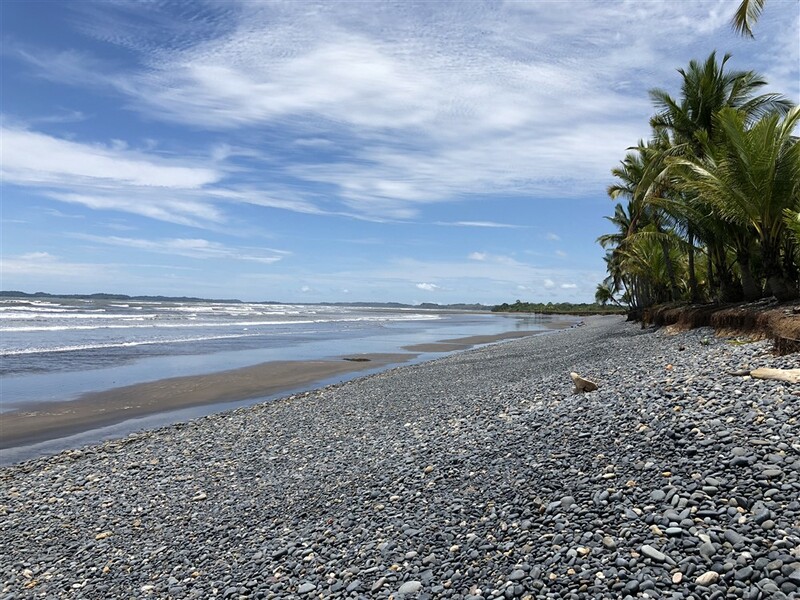 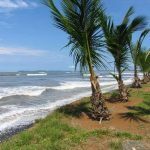 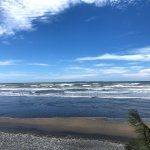 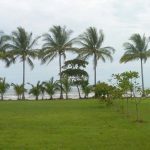 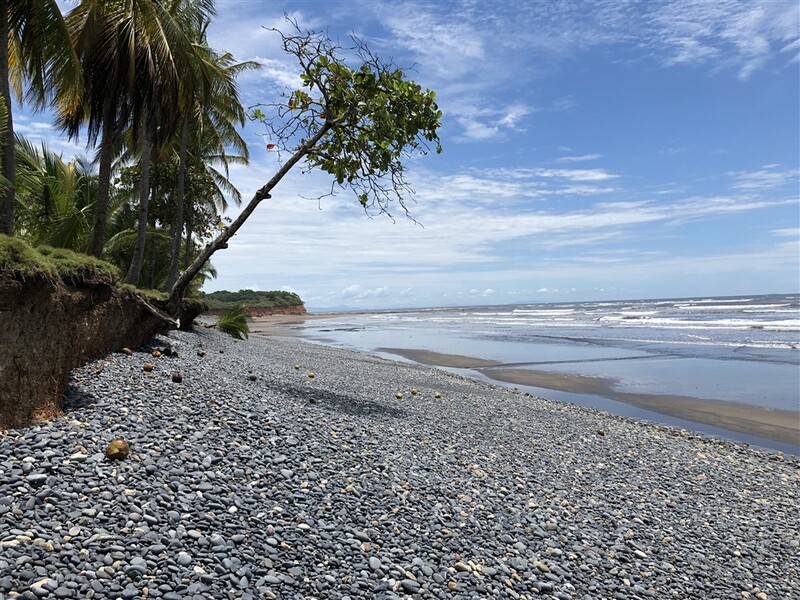 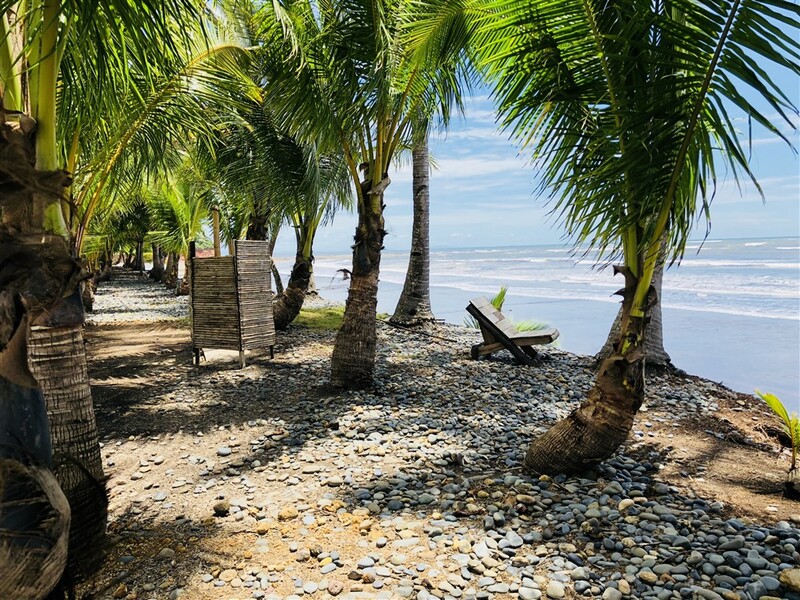 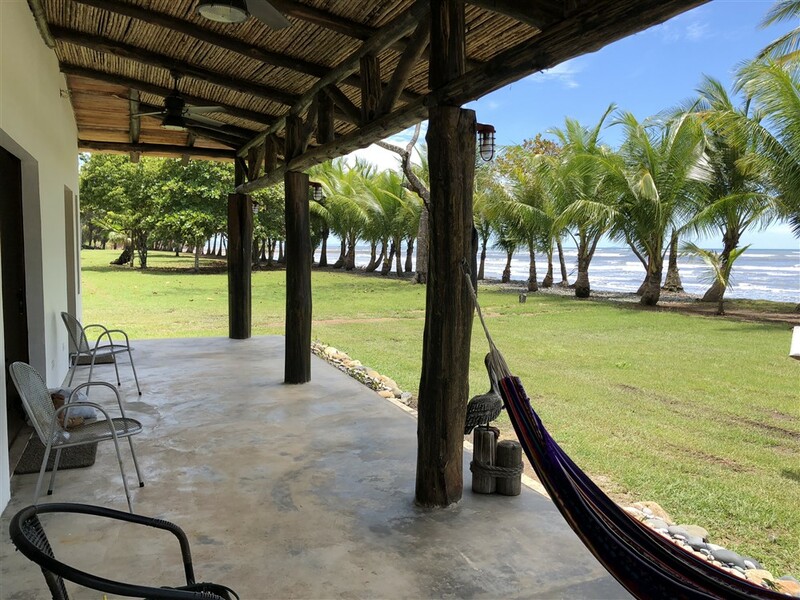 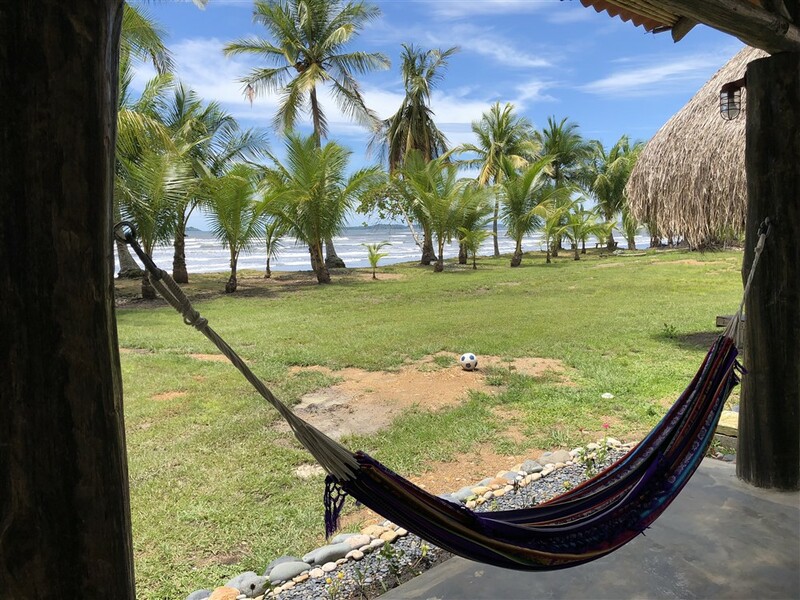 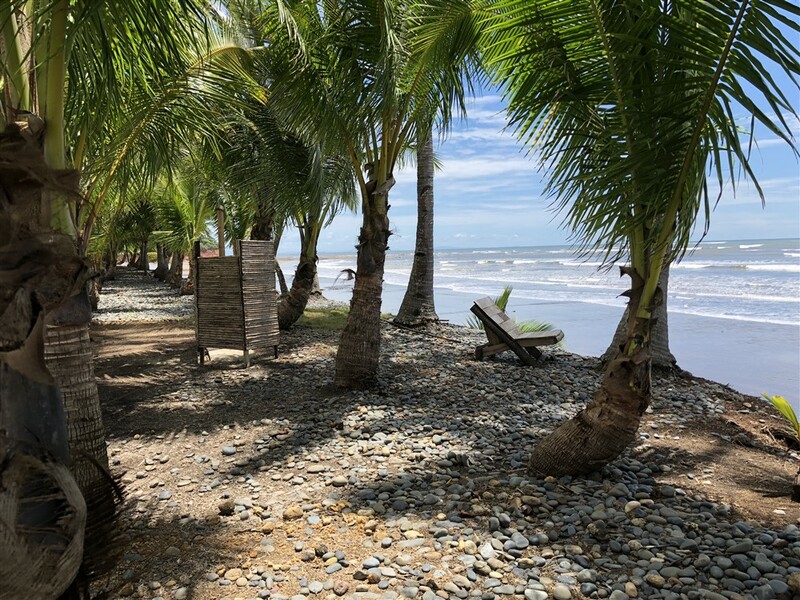 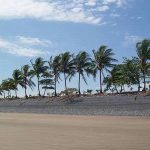 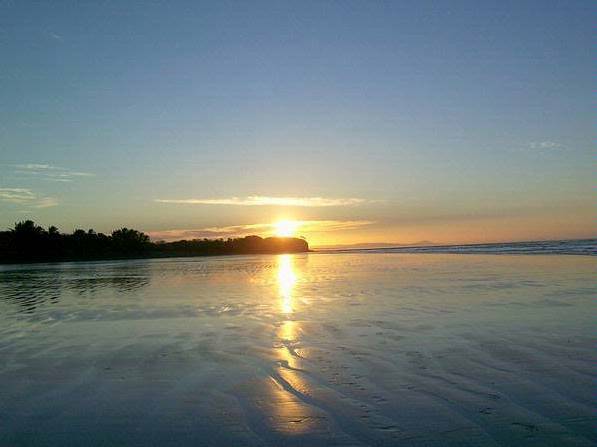 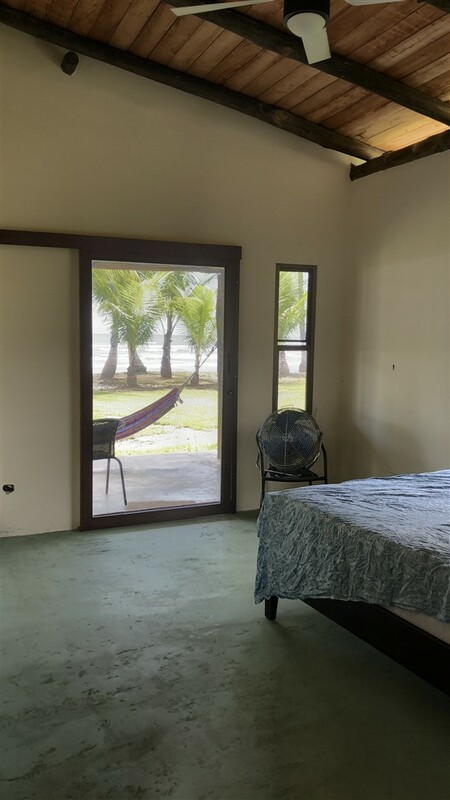 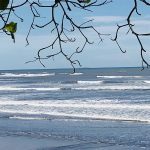 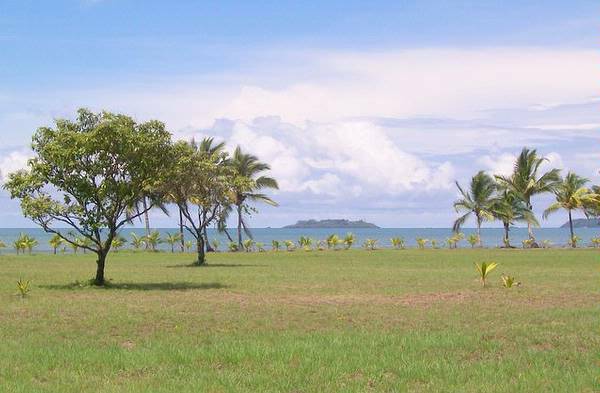 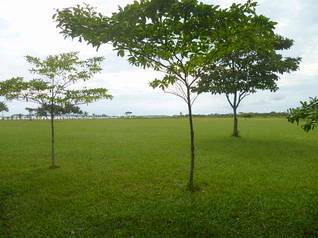 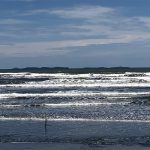 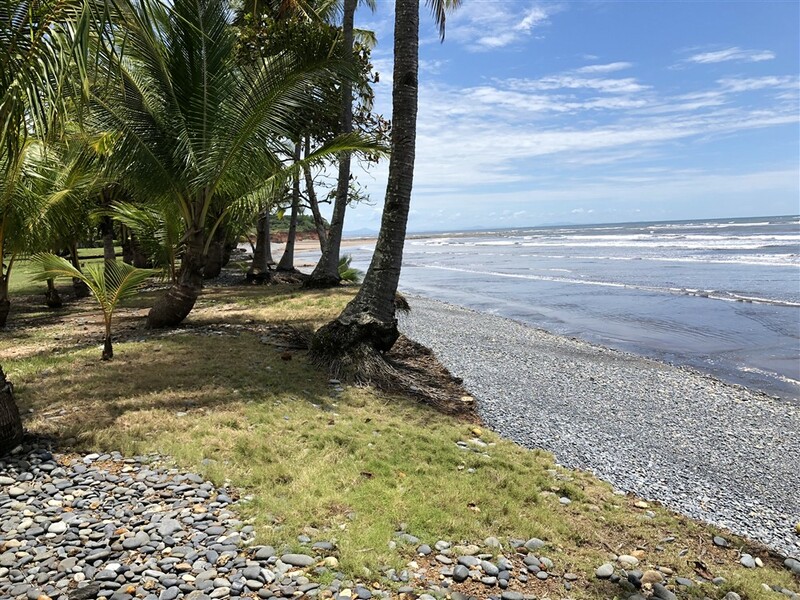 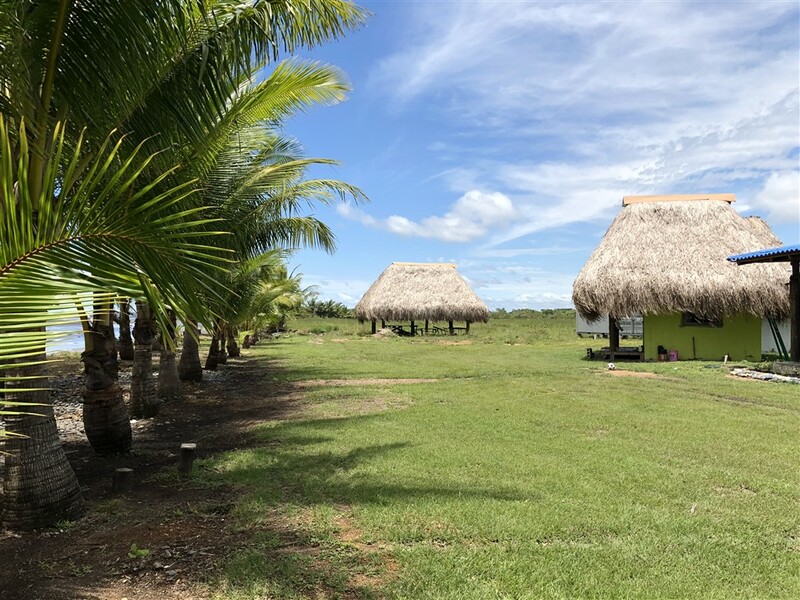 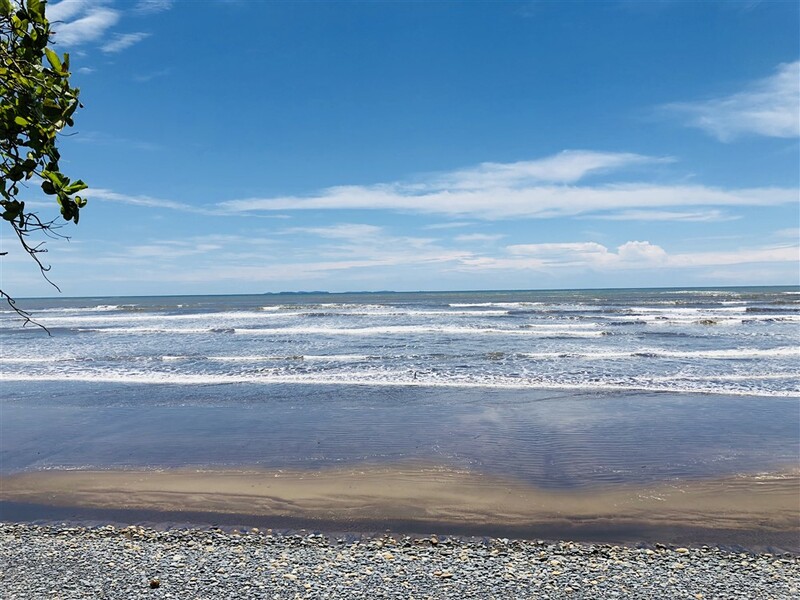 The property for sale consists of a large, flat and easy to build on topography right on the beach in San Lorenzo. 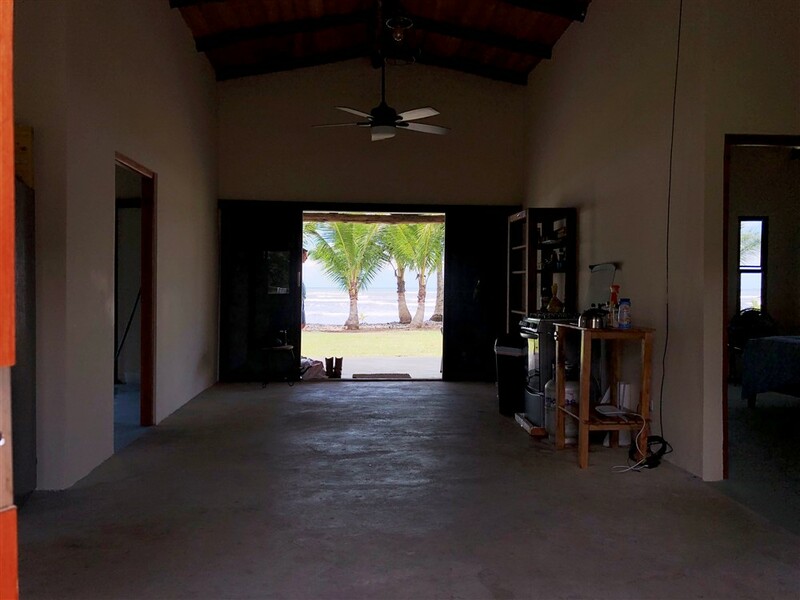 Though there are a few luxury homes next door, this property provides a wonderful private oceanfront experience. 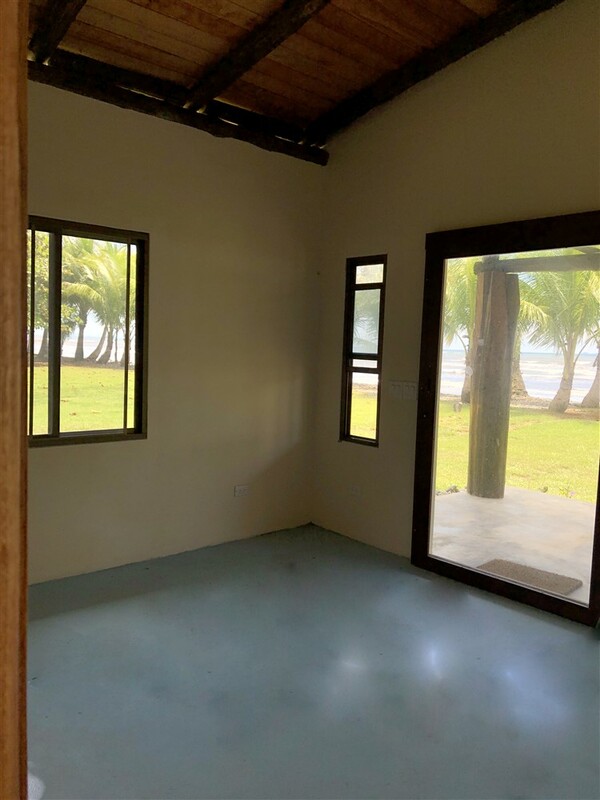 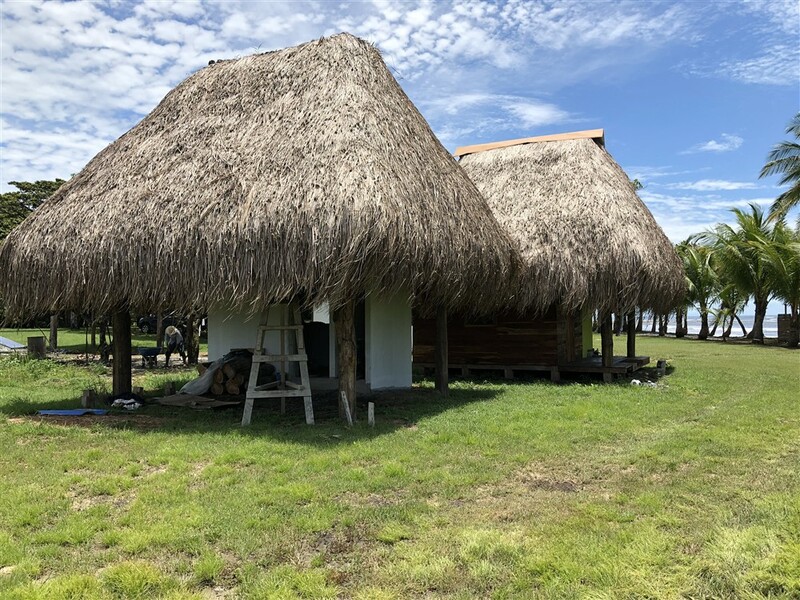 There is a finished two bedroom, two bath house here except for the cabinetry. 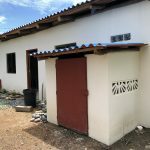 Also, a nearly completed guest house with one bedroom and one and half baths. 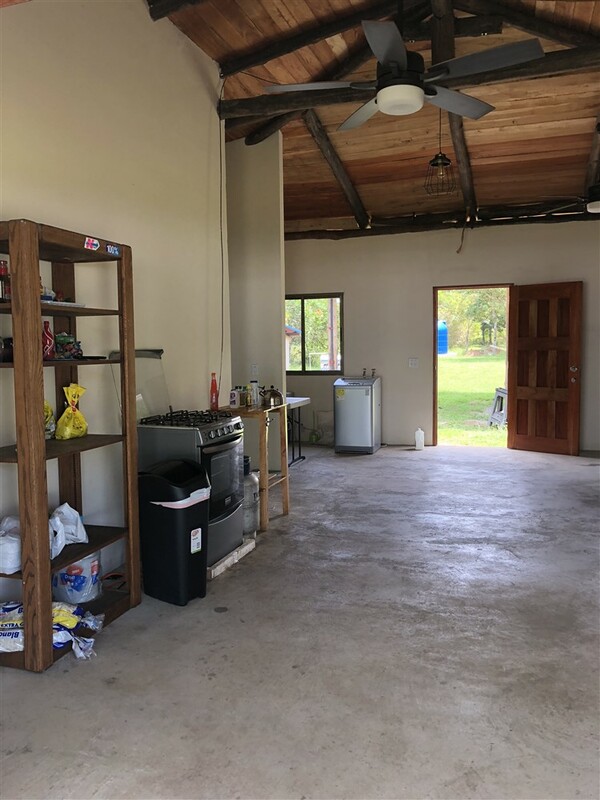 Plus there is a very large entertainment area great for yoga, parties or whatever you choose. 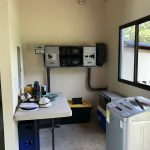 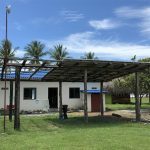 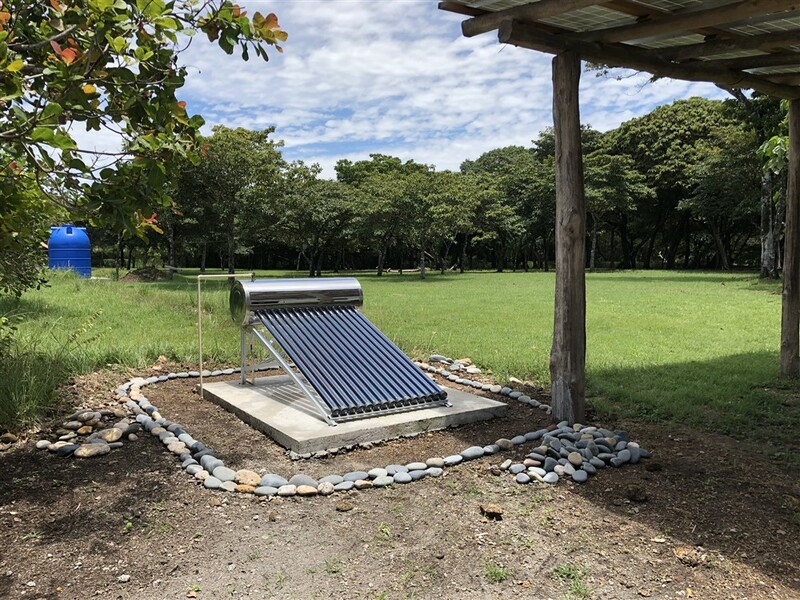 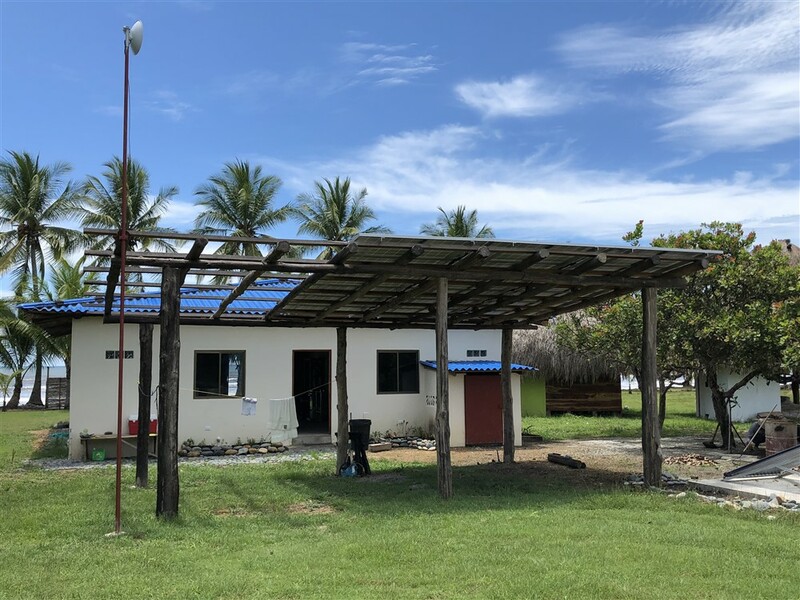 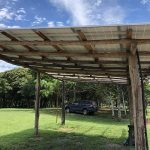 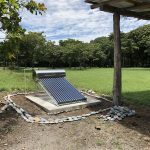 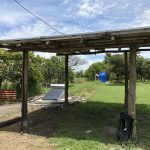 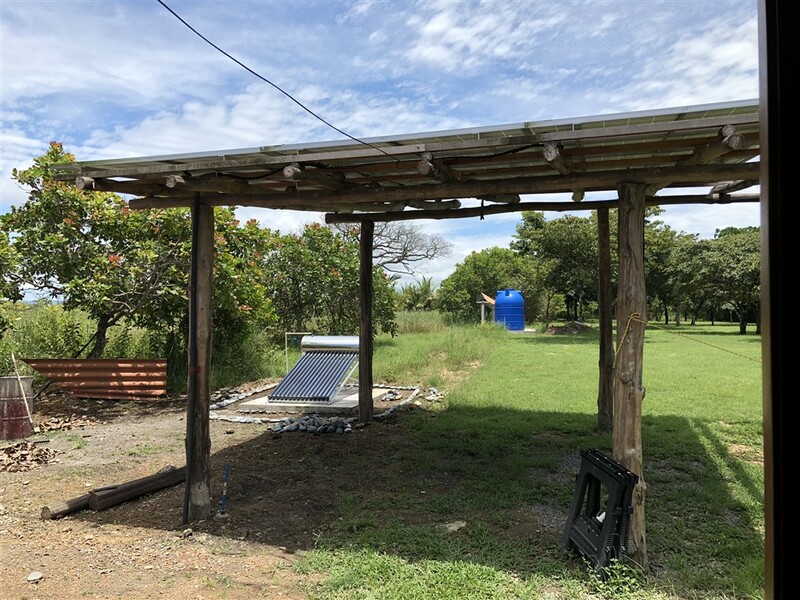 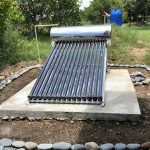 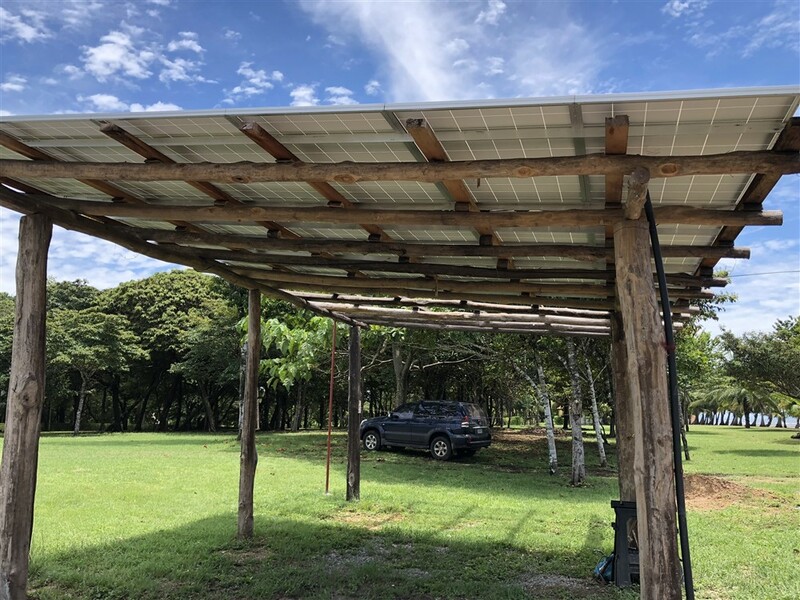 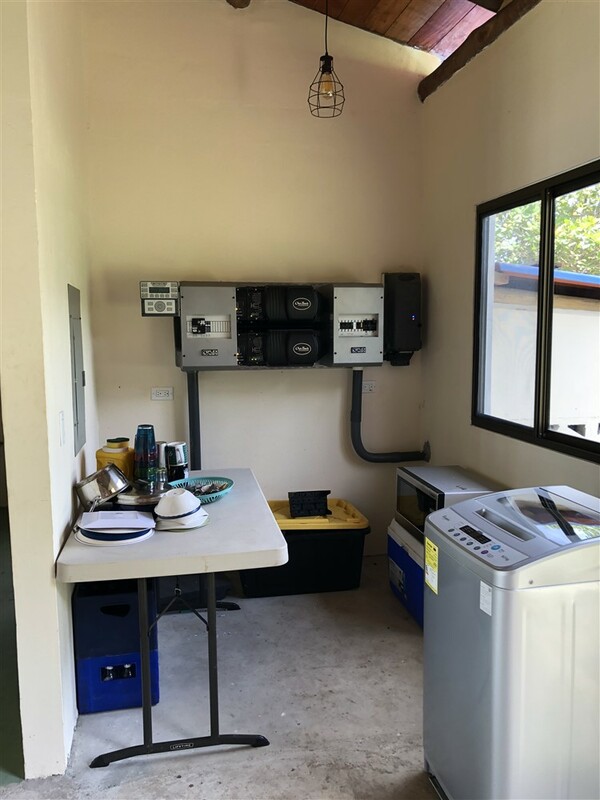 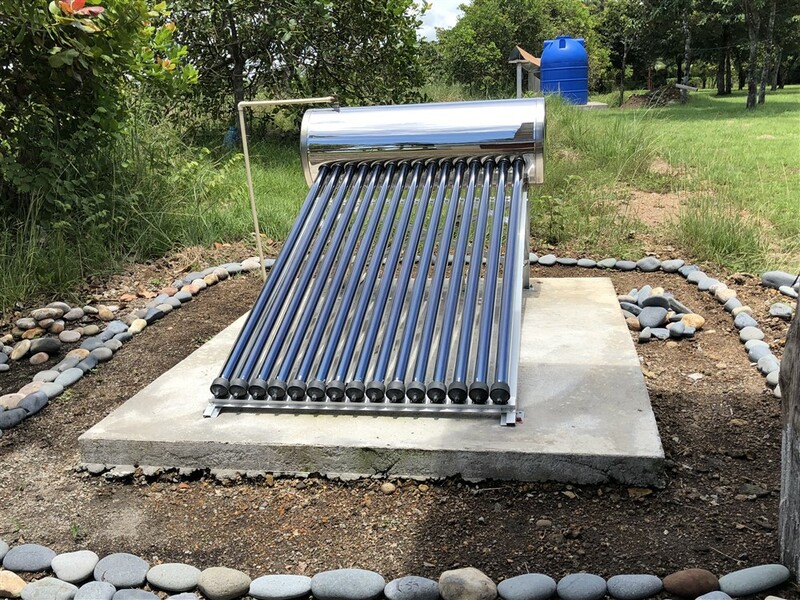 The property has recently installed (2018) solar panels and batteries that cost $28,000 on top of the carport. 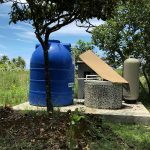 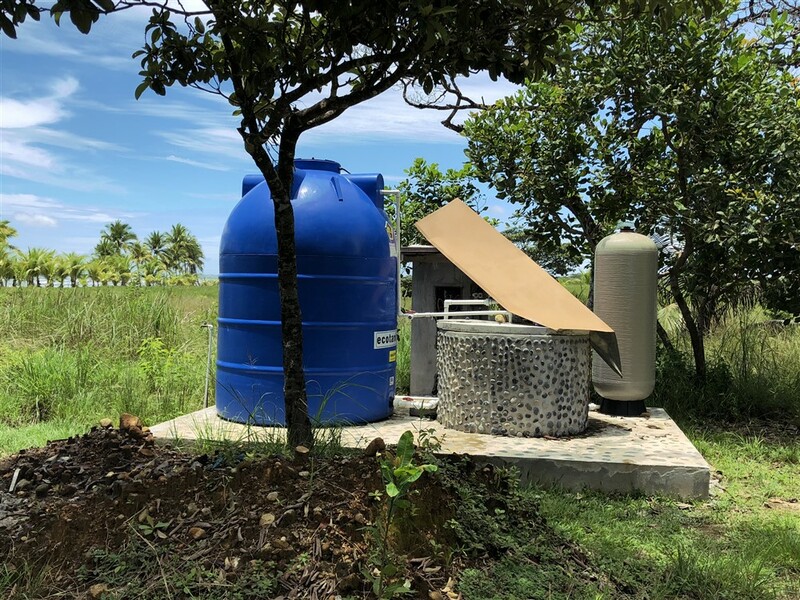 The well hasa pump and 5,000 liter sistern. 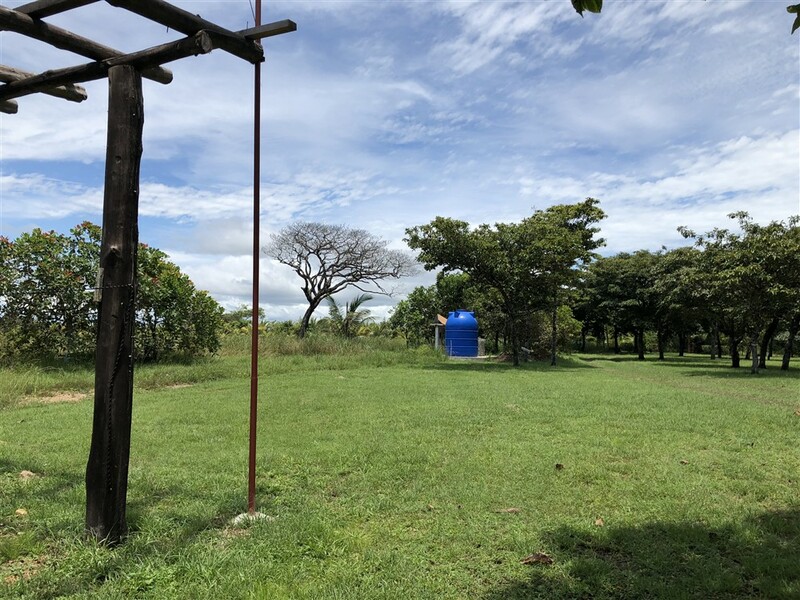 There are 2 biodigesters. 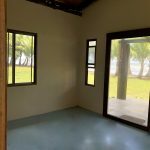 The stove, refrigerator and washing machine are also included. 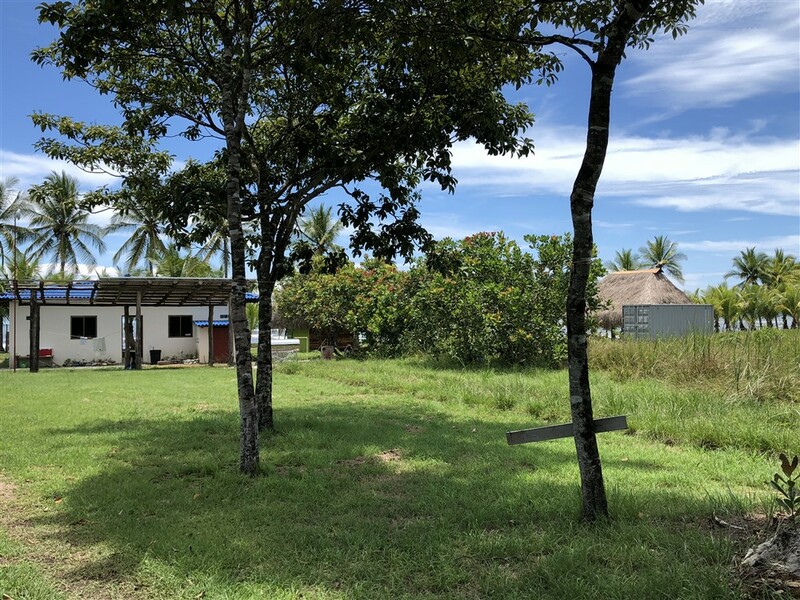 The land for sale has plenty of room for more structures, cabins, houses, etc. 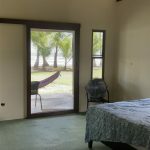 It is a great possible hotel, bed and breakfast or retreat destination. 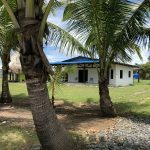 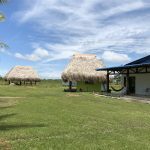 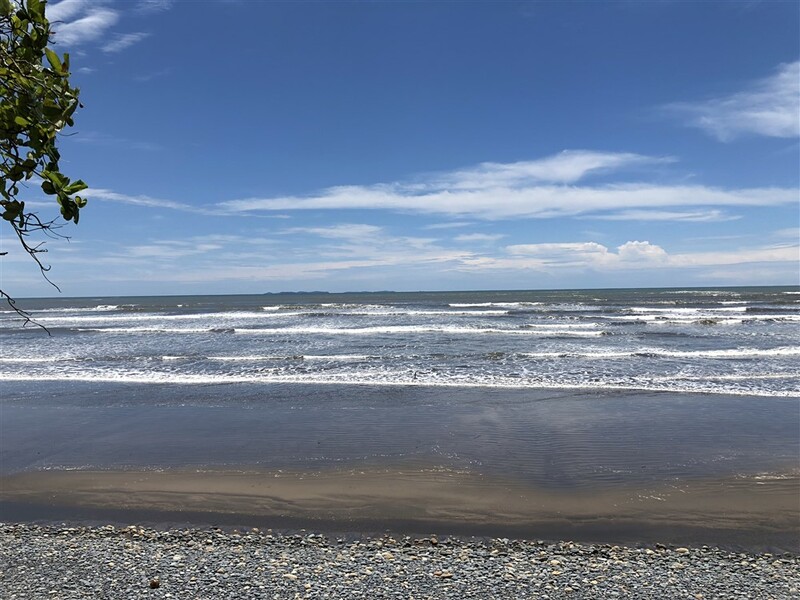 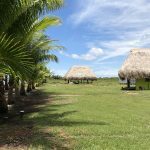 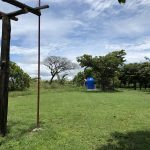 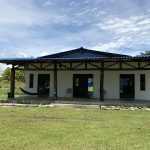 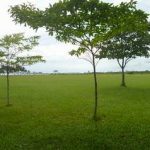 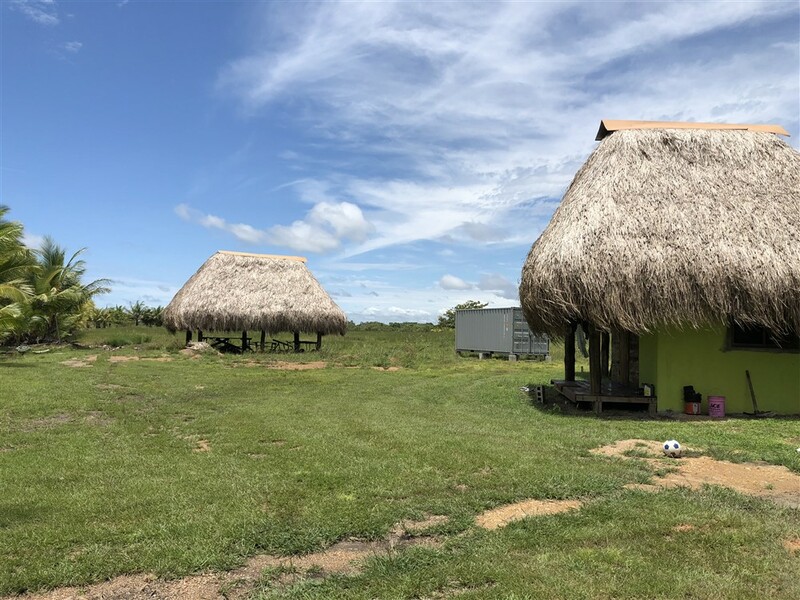 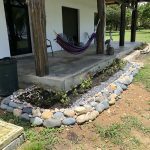 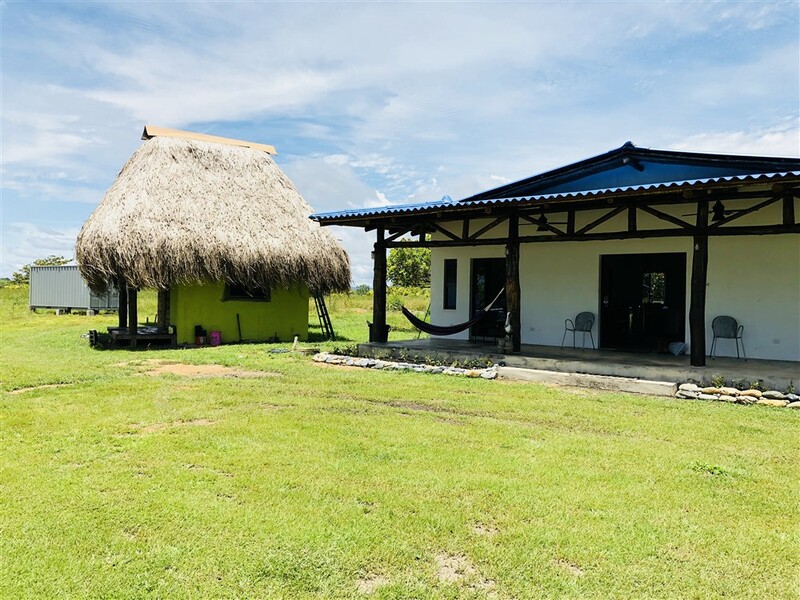 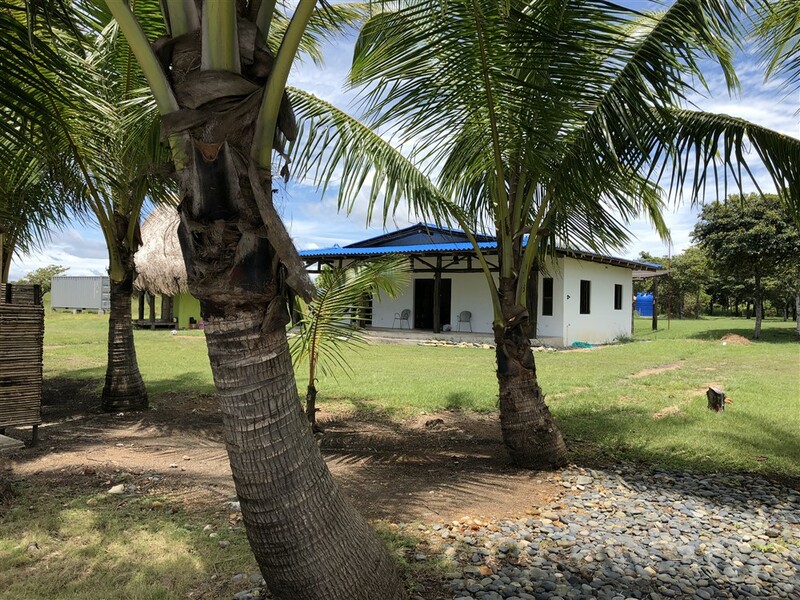 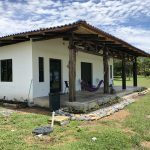 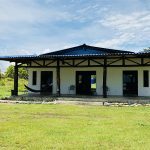 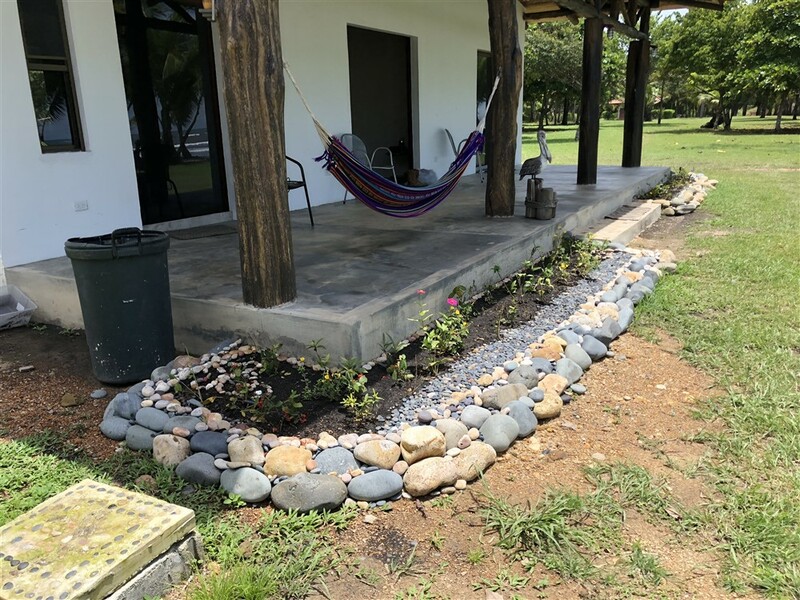 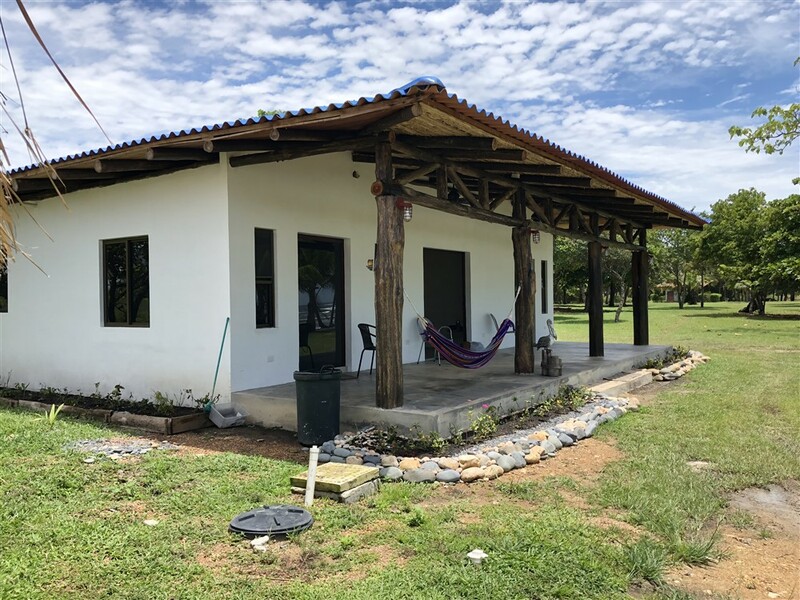 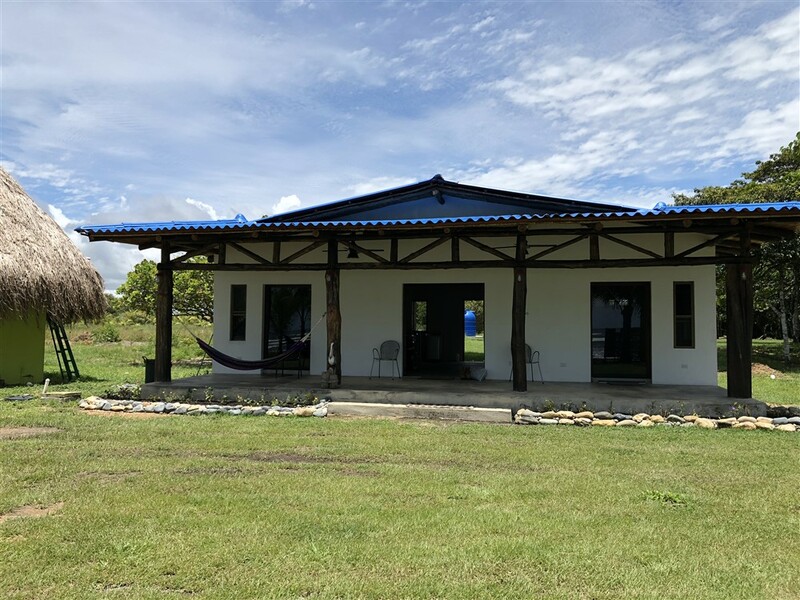 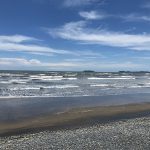 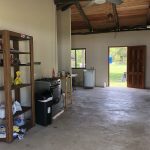 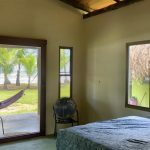 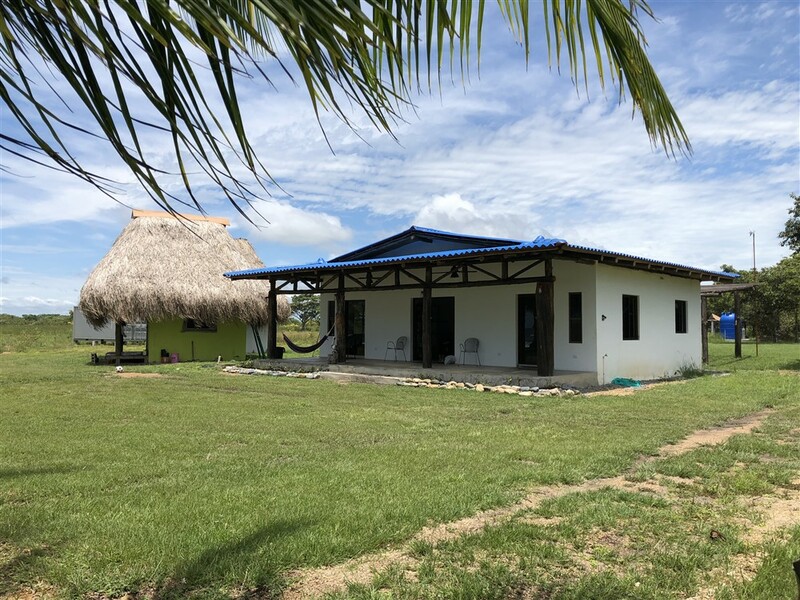 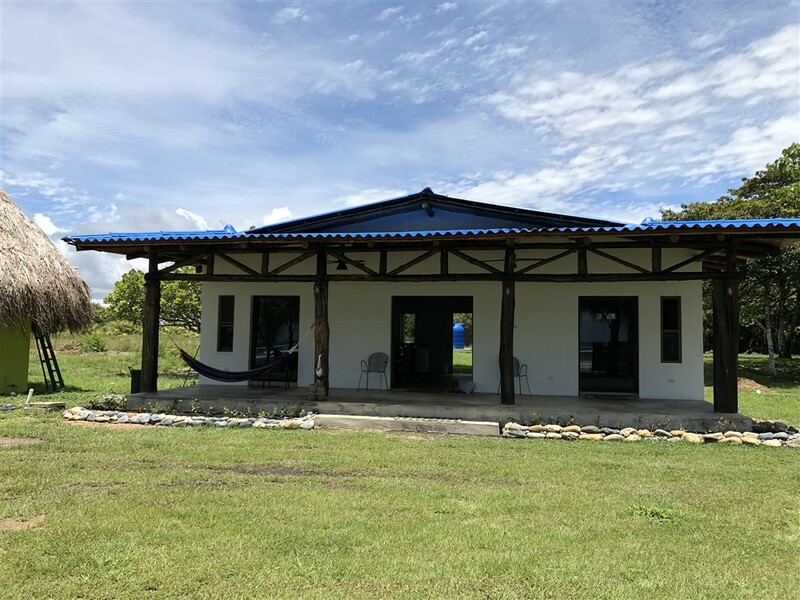 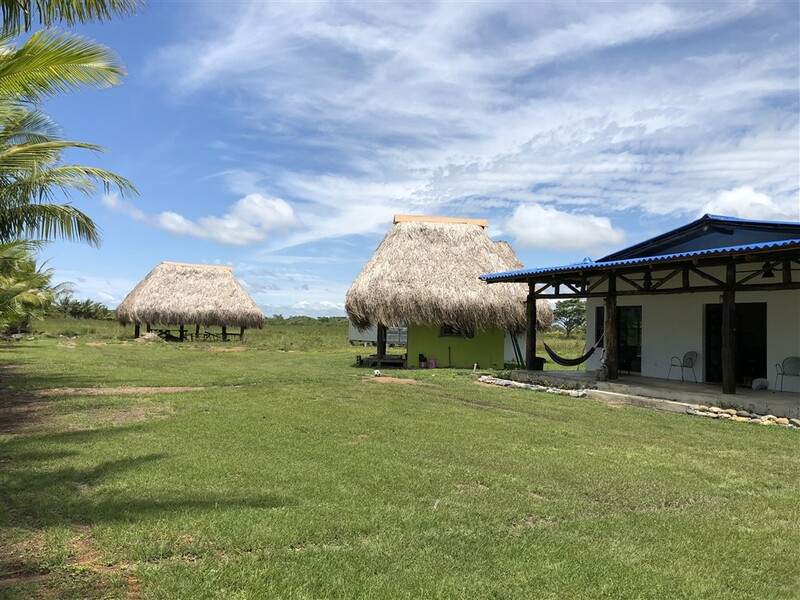 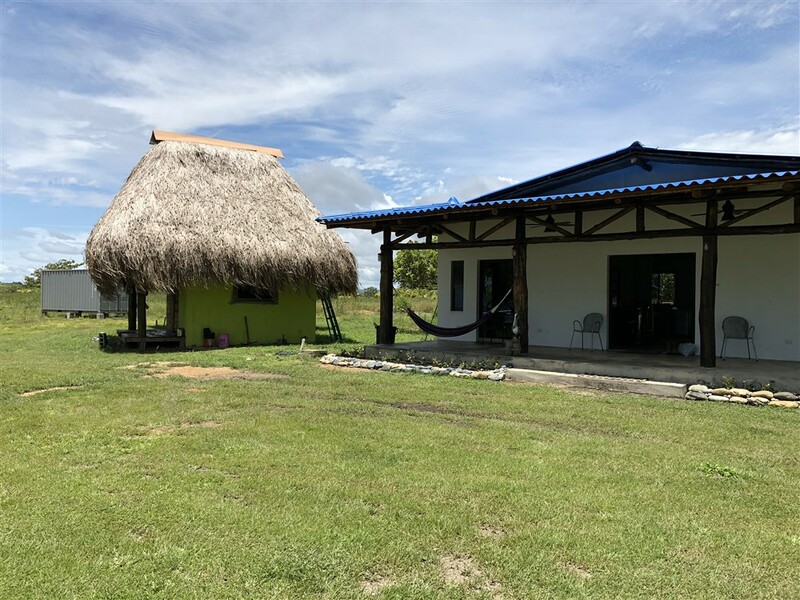 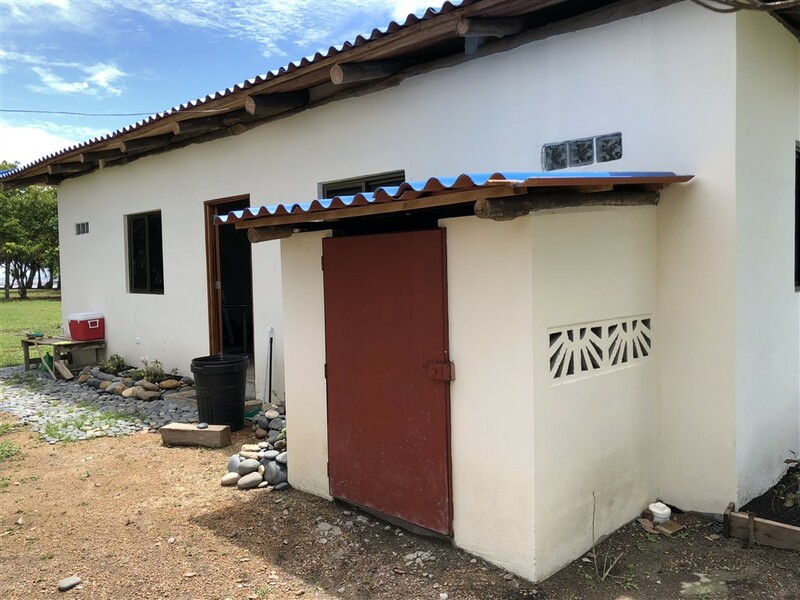 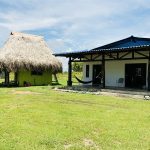 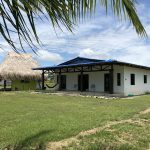 The property is located 6 miles from the Interamericana highway in San Lorenzo, Chiriqui and just one hour from the fast growing city of David with an international airport, excellent medical facilities, and contemporary shopping malls. 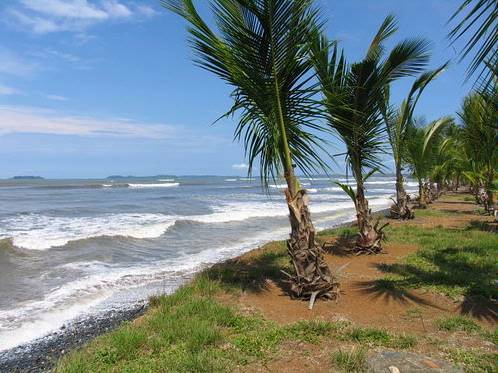 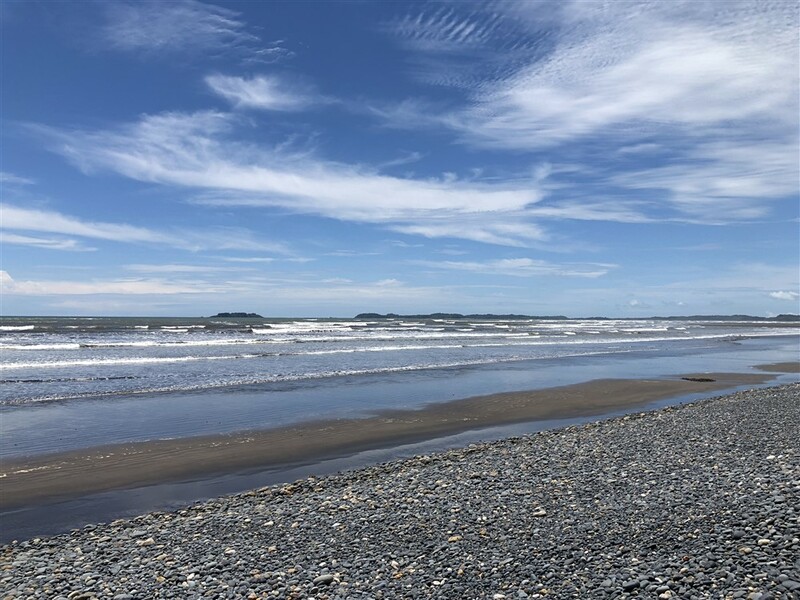 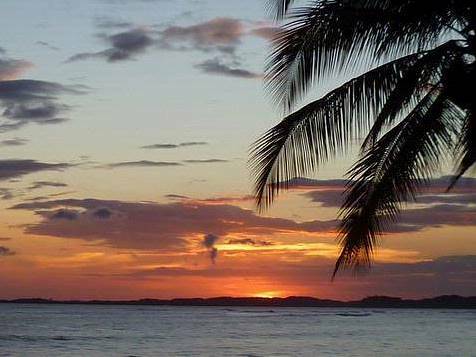 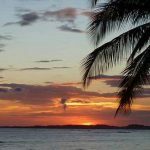 Adjacent to Panama’s National Marine Preserve, the area offers some of the most diversified ocean, wildlife and water related recreation. 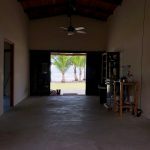 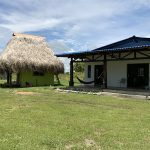 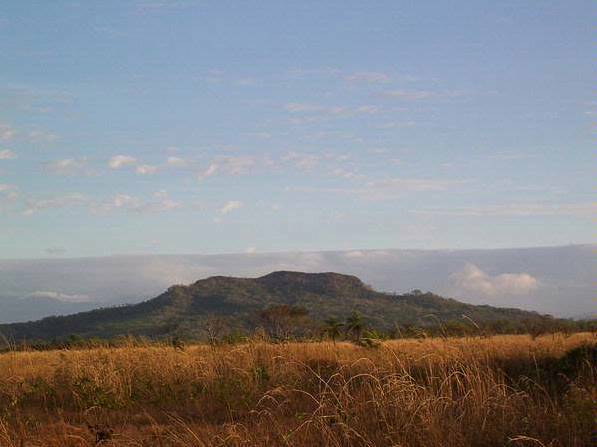 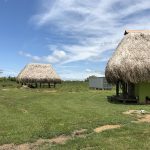 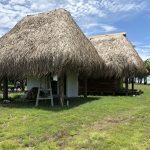 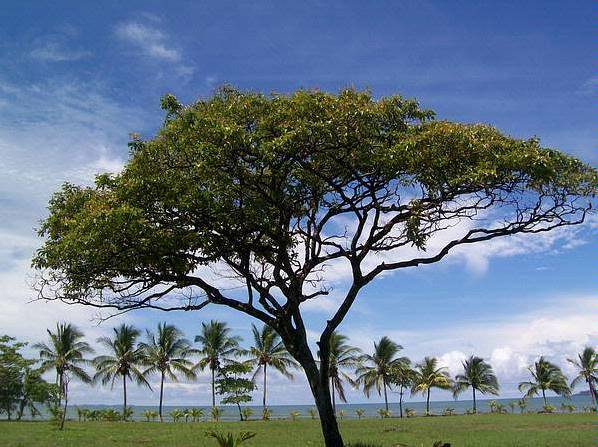 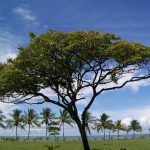 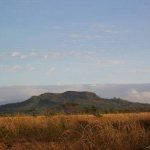 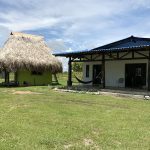 The property is less than two hours from Boquete. 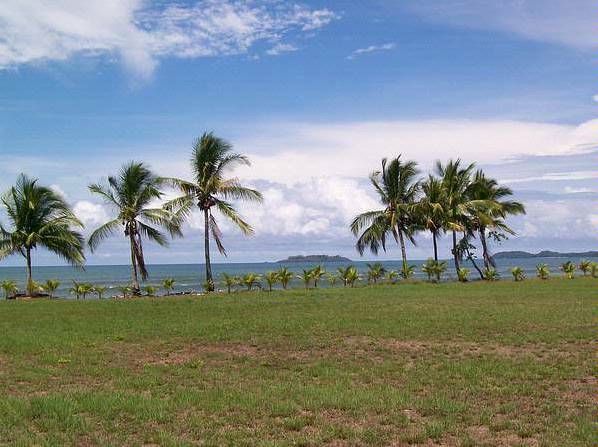 The surrounding waters are renowned for world class sports fishing.